Saturday turned out to be a fine day and a sunny afternoon brought out a good number of visitors. That along with the large number of large number of items entered into the show by the exhibitors made it a very successful day. It is always encouraging to see a large entry in the Children’s Section and this year was no exception with 136 entries. In the under 5’s the most popular classes were some very imaginative colourful hand print paintings, pastanecklaces and the ever-popular cress grown in an egg cup. The 5-8 age group was extremely well entered with some lovely dream catchers, fantastic edible snake and intricate Lego models. In the 9-12 age group there was fierce competition between eight competitors with some very creativeedible creatures, colourful paintings of butterflies,beautiful dream catchers and tasty macaroon bars. In the 13-16 age group there was some very goodartistic examples of entries with a really intricate sheep made out of modelling clay, some delicious millionaires shortbread, a decorated T shirt and an imaginative dream catcher decorated with sea shells. 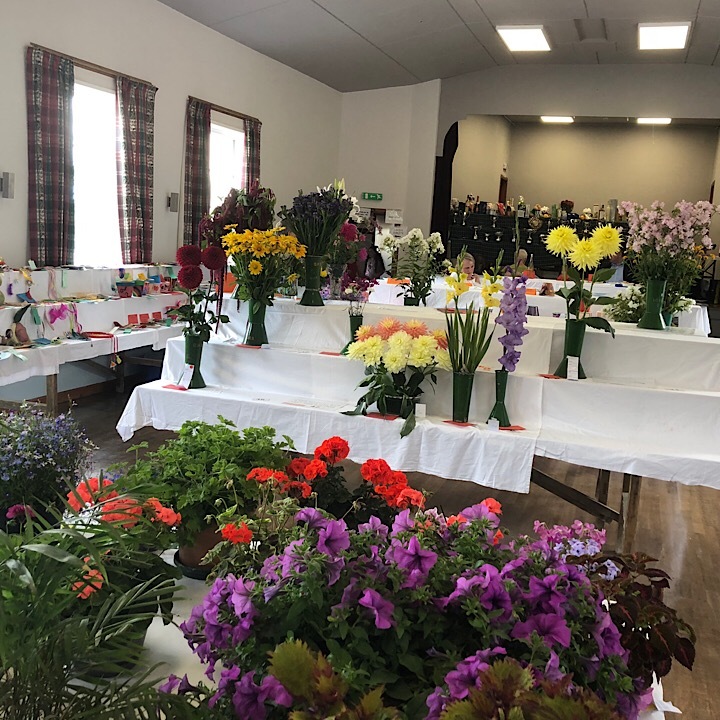 In the open section for all age-groups, all the classes proved popular with the biggest entries being the decorated flower pot with 15 entries, next highest with 14 entries was the floating flower heads in a cereal bowl. There was a good entry in the photograph class with some very imaginative photos of different weather conditions. Appropriately for a flower show there were 7vegetables grown by a child class – so we have some budding gardeners of the future! Finally, the ever-popular miniature garden attracted a good number of entries with a wonderful range of ideas from the children. Despite the difficult weather conditions this year there was a 40% increase in the number of entries to 103 inthe Vegetable Section. We have not had that level of entries since 2002! It was a very encouraging section with broad beans, French beans, potatoes and tomatoes being the most popular entries. The Pot Plant section was popular with the more unusual exhibits of orchids, cacti and insectivorous plants being exhibited. There was also some beautiful fuchsia, colourful pelargonium and a huge display of vivid purple surfinia with the best exhibit being an outstanding begonia. The Cut Flower section although down on last year showed a colourful array of gladioli, marigolds and fragrant sweet peas. The floral theme continued in the Decorative Section which was well entered in every category with the competitors showing imaginative use of flowers and foliage in their displays including the ever-popular bowls of floating flower heads. There were very impressive novel arrangements of fresh flower arrangements inladles, beautiful table centre decorations on a Christmas theme and some very delicate miniature arrangements in thimbles. In the Rural section, the theme was “Summer Picnic”and the ladies had certainly put their expert skills to full use with beautifully designed and imaginatively sewn picnic bags and napkins and colourful floral arrangements in tumblers. Edible entries consisted ofsavoury Scotch eggs and tasty flapjack. The Handicrafts Section enjoyed an increase in the number of exhibits with similar number of entries in every class and they showed a range of practical and decorative skills. The more popular categories were a decorated flower pot, a child’s motif jumper, crocheted or knitted brooches and items of jewellery. The Baking Section was however down on last year but still there was a good spread of delectable treats. Staples such as cheese scones, dropped scones and the set recipe for a courgette loaf were most popularwith sugary treats such as Victoria sponge, traybake and marzipan fruits also proving popular. 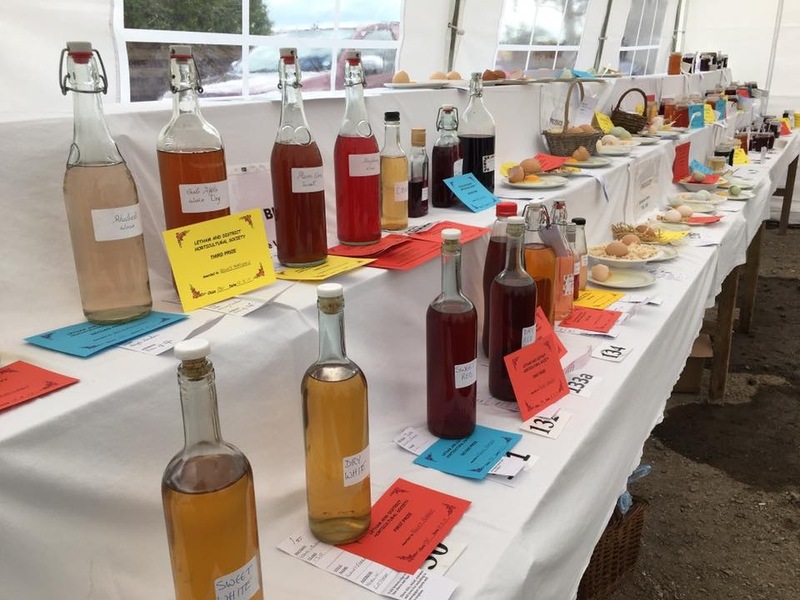 All the above could have easily been washed down with the selection of wines, beers, ciders and liqueurs being entered with the highest category being in the liqueur category with a very diverse range of liqueurs being entered. Again, the weather appears to have been favourable to the fruit growers with a 50% increase in the number of fruit entries. All categories were well entered with blackcurrants and gooseberries being the most popular. The theme for this year’s Photographic Section was “Farming Life” and proved popular with some wonderful photos of different aspects of farming life. The Sales Table run by Miss Wilson, Ladybank proved to be popular with broccoli kindly donated by Mrs E Crombie, Westhall. There was also a Vegetable and Fruit tombola with donations from Kettle Produce which was keenly supported by the visitors. Outdoor games of putting, tub ball and horseshoe throwing proved popular with a large number of children and grown-up children alike with a large queue forming over the afternoon. Afternoon teas were provided by the ladies in the kitchen who did a sterling job serving a steady flow of thirsty visitors. Trophies were presented by Rev. Jeff Martin of Cupar Old and Monimail with Logan Reynolds presenting himwith a flowering plant as a thank you from the Society. The Show was rounded off with an auction of exhibits that had been very kindly donated by the competitors thus ending what had been a very successful 116thShow. Willie Fenton, on behalf of the Society, thanked all the competitors, helpers and visitors who made the Show possible and for making it such a success and encouraging everyone to come back next year. Well done to all the Letham Primary School pupils who entered their sunflowers and potatoes in the Competition judged on Sunday 5 August. There was a good entry of 14 sunflowers and 24 sacks of potatoes. Trophies for 1st place in each category and medals for the top 3 places will be handed out at the Show on Saturday 11 August at 4 pm. Just a reminder that it is just over a month to the Flower Show and if you have not already done so it’s time to start organising your entries. 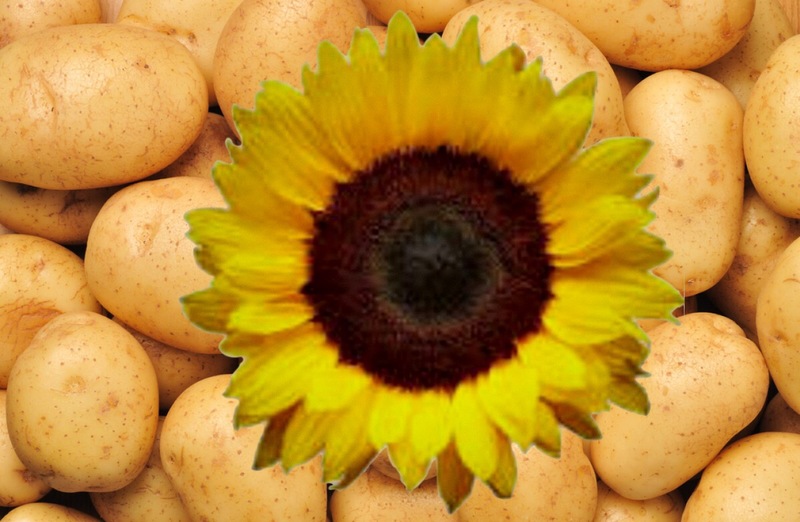 Children’s Sunflower and Potato Competitions. Hopefully the good weather will mean that you have a sunflower that is ginormous in your garden and enough potatoes to keep Kettle Crisps in production for a month. Do not despair if that is not the case – careful watering and feeding over the next few weeks could make all the difference. Judging will take place on Sunday 5 August and if you want your sunflower measured and/ or potatoes weighed please let Alison McDonald know by Friday 3 August. (Telephone 01337 810250) If you are not to be at home please make sure your sunflowers and potato grow bags are clearly labelled. As always, we would appreciate any help setting up on the Thursday night (9TH) and for marking on the day of the show. Arrangements for setting up are simply meet at the hall on Thursday Night at 6.30PM and be ready to muck in. Markers are needed on the day of the show and all volunteers are welcome. If it is your first time you will be paired with someone who has done it before. Also volunteers to man the door, the raffle, and help out in general are always welcome. Feel free to phone Alison if you want any information on what is involved. 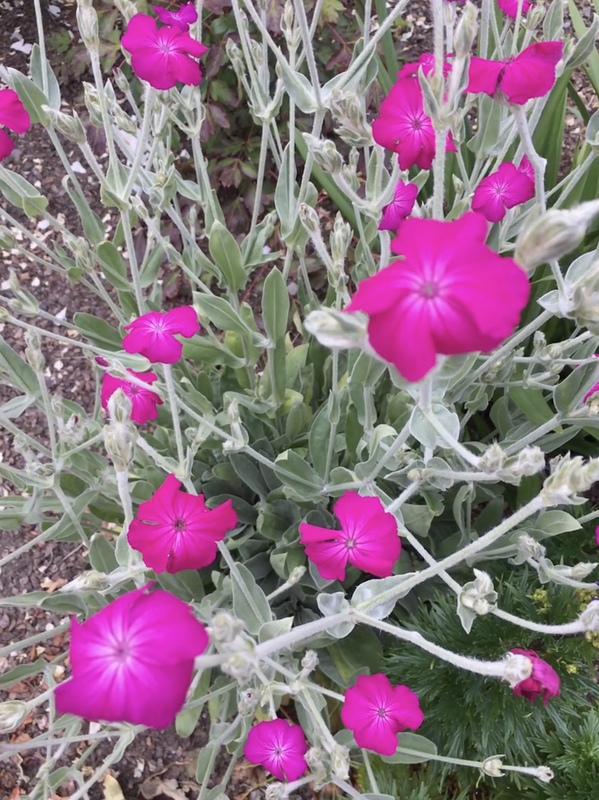 Can anyone wishing to enter their garden; vegetable plot; hanging baskets or tubs into the Garden Competition please let Alison McDonald (Telephone 01337 810250) know by 27th July. Anyone living within a 7 mile radius of Letham is eligible to enter. Usual Stalls are Cake and Candy Stall, Bric a Brac, a Plant stall and a Book Stall along with a Tombola and Raffle. So, please come along and support us. Donations for all the stalls will be gratefully received. If you have any donations please contact Alison McDonald on 01337 810250 or any Committee member. 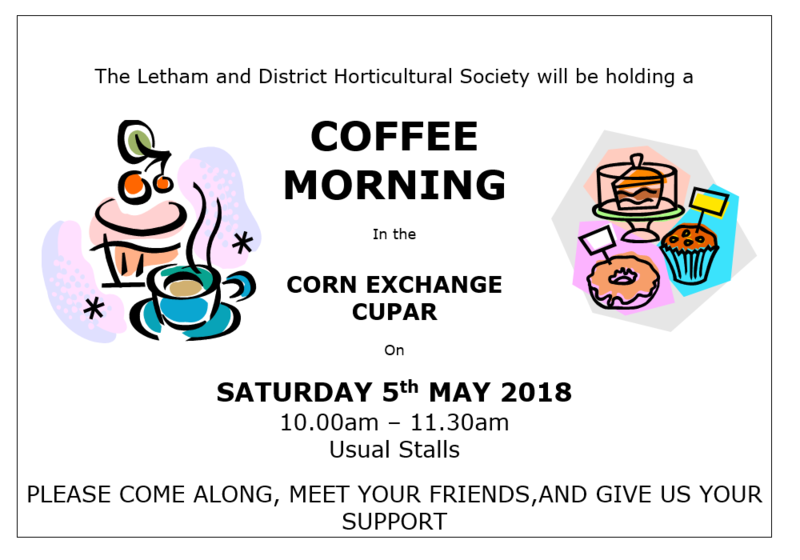 We would be delighted to welcome anyone who would like to come along and help at both at the Coffee Morning in May and at our Annual Show in August. If you are interested and available please contact Alison McDonald, Secretary 01337 810250. The Flower Show Schedules are now available and collectors should be coming to your door soon. If you cannot wait we have added an electronic version to this site. 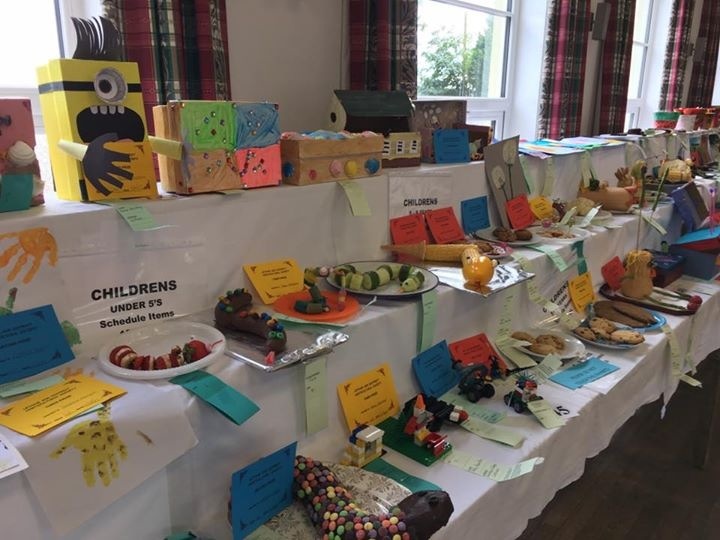 The Letham and District Horticultural Society’s Annual Garden Competition held on 1 August proved once again to be very popular. 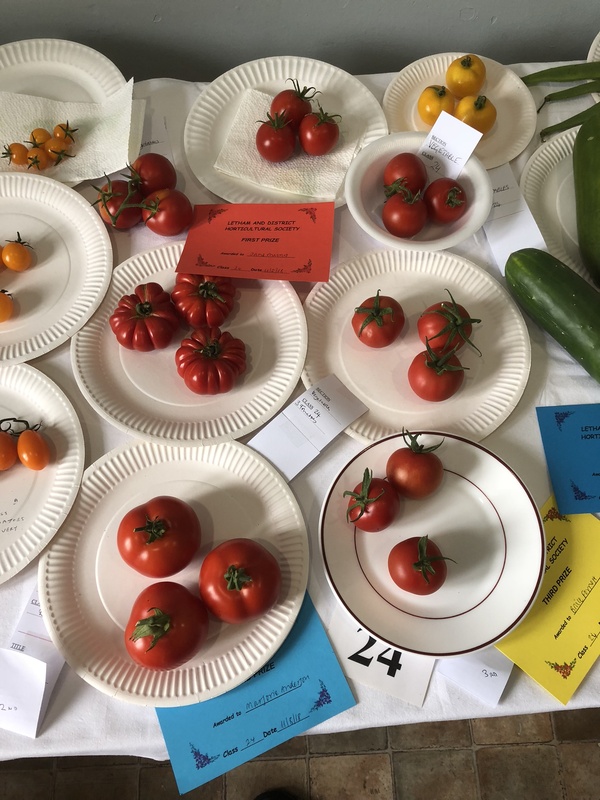 Despite the poor growing conditions affecting all the competitors, the garden competition attracted an increased number of entries in all its sections. There were a number of new entrants which was very encouraging and the judge, Roy Daniels of Kirkcaldy had a difficult task in selecting the prize winners. The Landscaped Garden Competition as always proved popular with a large variety of designs and themes with all the gardens showing a vibrant display of colour, foliage and well-maintained lawns. The hard work and enthusiasm of the competitors made it a rewarding day for the judge and the quality of the flowers and vegetables seen in the competition suggests there will be some close competition for those entering the 115th Annual Flower Show at Letham Village Hall on Saturday 12 August which opens to the public at 2.00pm. Can we remind any entrants that our Cut Flower Section is an Open category to any resident within Fife. Any queries to Alison McDonald, Secretary Telephone 01337 810250.